Jim Cutler does not like to let grass grow under his feet. Even though he had a full-time managerial position at Amherst Label in Milford, N.H., as well as a wife and daughter to support, he longed to fill his downtime with a worthwhile pursuit. He looked into the local Lions Club, took up karate and hit the links. It was during a round of golf that he was introduced to the diversion that he was looking for. 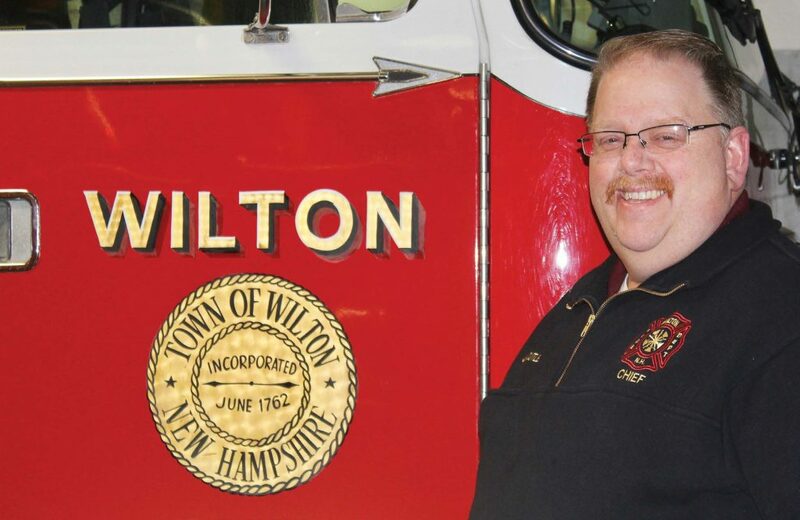 The Wilton Fire Department is a volunteer operation that serves 3,677 residents in a 26-square-mile area. It handles approximately 130 calls per year and was the perfect solution for someone who thrived on adrenaline and had been fascinated by fi re trucks when he was a kid. Cutler said he attended the fi re academy while balancing work and family and then joined the department his friend spoke so highly of in 1991. Over the past 25 years, Cutler rose through the ranks, training to be an engineer — in order to drive the fi re truck — and then serving as a lieutenant, captain and deputy fire chief before assuming the top spot in 2017. As fire chief, Cutler does not don the gear and fight on the front lines as much as he used to. These days, he is responsible for managing the office, overseeing the budget, making sure procedures are followed, supplies are ordered and that his equipment is in tip-top shape. “It helps that I have a business degree,” he said. In addition, he works to make sure he has the personnel he needs to get the job done. This is one of the most difficult aspects of his position and not one that can be influenced by his education and training. 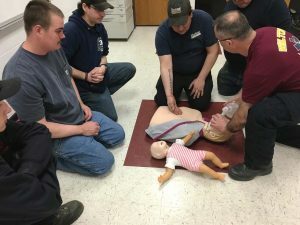 Cutler said it takes a very special person to be a volunteer firefighter and he is constantly looking for ways to attract, motivate and encourage his team when he can’t give them a paycheck. 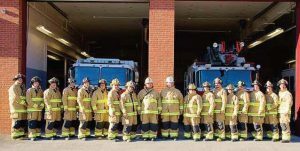 In order to encourage a new generation of volunteer firefighters, he emphasizes the free training, opportunities for advancement and the noble profession of firefighting that often becomes, or is part of, a family legacy. But it’s still a hard sell. 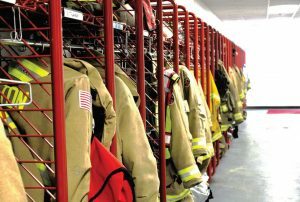 Not only are some skittish at the thought of running into a burning building or trying to juggle the schedule of being a volunteer firefighter with a personal life, but many employers make it difficult to join the department. Cutler said what was once a source of pride for employers is now lost production time, and he is grateful for the support Amherst Label has given him over the years. He said his supervisors recognize his public role and understand when he has to take a call or issue during business hours. They also appreciate the business Cutler brings them when other departments need to order labels. “They support my endeavors and I try to give that back when I can,” he said. Cutler said he’s also able to make it all work because he’s been careful to cultivate a good relationship with other agencies in the area that can help respond to smaller issues when he is on the clock. Of course the real secret to his success is his wife, Corrine. Corrine not only encourages Cutler’s work both at Amherst Label and as Wilton’s fire chief, but also helps him produce and direct two dinner theater productions each year as a fundraiser for their church.